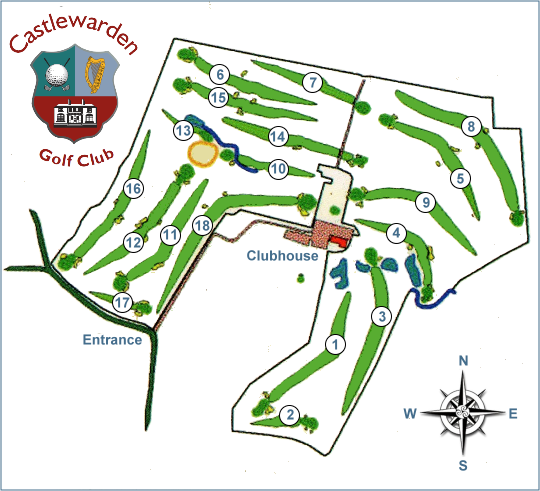 Castlewarden is a fine, well developed, mature 18 hole course. It is maintained to a very high standard. Our greens are always in superb condition. The bunkers have been replaced in the past number of years and are now in top condition. We have an excellent drainage system which allows our course to remain open all year round giving you the ability to play and practice your favourite sport the year round. Check out our course layout below to get a feel for what you can expect.